The Pharmacy Council has been awarded the 2015 Bent Spoon Award from the NZ Skeptics for proposing a change to their Code of Ethics that would allow the sale of healthcare products that have not been shown to work. The Pharmacy Council is responsible under the Health Practitioners Competence Assurance Act for setting standards of ethical conduct for pharmacists in New Zealand. Section 6.9 of their 2011 Code of Ethics states that pharmacists can only supply or promote products where there is no reason to doubt their quality or safety, and when there is credible evidence of efficacy. Groups such as the NZ Skeptics and the Society for Science Based Healthcare have identified pharmacies selling unproven “remedies” such as homeopathy, and put pressure on the Pharmacy Council to enforce their Code of Ethics. In response, in August 2015 the Pharmacy Council proposed to change the wording of their code. This proposed change would allow the sale of “complementary therapies” that are not supported by credible evidence of efficacy. It’s disappointing that the Pharmacy Council would even consider that weakening their Code of Ethics is a good solution to the problem they have of non-compliant pharmacists. Surely it makes more sense to educate pharmacists about what is and isn’t ethical to sell, and for the Council to be more effective in policing this section of the code – rather than to change their code to allow unethical behaviour. 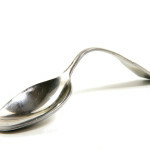 Each year the NZ Skeptics announces the Bent Spoon Award for the New Zealand organisation which has shown the most egregious gullibility or lack of critical thinking on a science-related issue. A close runner-up for the Bent Spoon award was TV3’s 3D current events show, with their episode “Cause or Coincidence?” which suggested that the Gardasil vaccine was to blame for two unexplained deaths of New Zealand girls, along with others who have suffered from illnesses after receiving the vaccination. In addition to the Bent Spoon, the NZ Skeptics’ Bravo Awards praise a number of attempts to encourage critical thinking over the past year. Rosanna Price (Fairfax Media) for her coverage in Stuff of All Black Waisake Naholo’s “miracle” natural cure for a fractured leg bone. Ben Albert (University of Auckland) for his effort in writing an excellent submission to the Pharmacy Council, and his rallying of healthcare professionals to put together a letter to the editor of the New Zealand Medical Journal. Also this year, the Denis Dutton award for New Zealand Skeptic of the Year was given to Daniel Ryan for his work as President of Making Sense of Fluoride, as well as for his skeptical activism efforts for the Society for Science Based Healthcare and his commitment to helping the NZ Skeptics Society. The awards were conferred at the NZ Skeptics Conference, held in Christchurch from the 20th to 22nd of November 2015.